Nothing was going to keep this determined mom cat away from her kittens - not even a beating that nearly killed her. Late last month, Dee Walton, owner of Australia's Sawyers Gully Animal Rescue, found a missed call on her answering machine. It was from a woman who said she had been feeding a stray cat with kittens in her yard, but her neighbor had killed the mother cat. "I was informed that the [neighbor] had [the mom] by the tail and threw her up against a trailer," Walton told The Dodo. "I'm assuming until he thought she was dead." The mother cat's only crime was slinking into the man's yard - and getting caught. The mother's body remained where it lay. But the next day, something remarkable happened. Princess, as she was later named, dragged herself back to the spot where she had left her kittens, using just her front paws. Her back legs were paralyzed from the injuries she sustained from being brutally attacked. 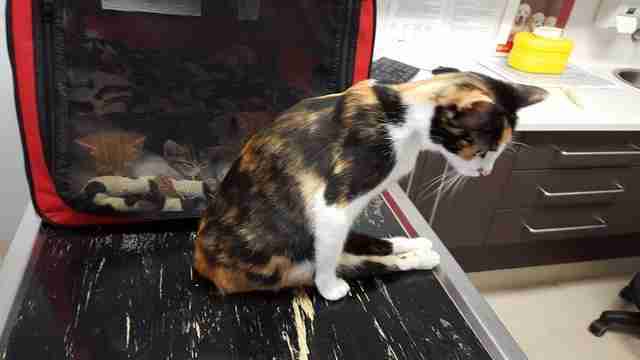 "It would have taken her ages to crawl back by her two front paws," Walton said. Her wish was granted when she was discovered alive and picked up by the local RSPCA, then reunited with her kittens. 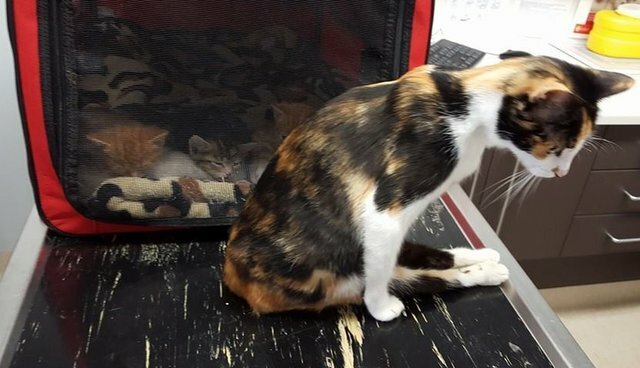 As it turns out, Princess had a microchip and her original owner was tracked down - and decided to relinquish her and her RSPCA, which in turn gave up the cat family to the pound, since it was unlikely that the paralyzed Princess would a home with her babies, Walton said. After learning their story and discovering their fate, Walton expressed interest in caring for Princess and her babies - and decided to bring the entire family home from the pound. The cat family now resides at the rescue with Walton. Princess is unfortunately paralyzed for life. She can't urinate or defecate on her own. Since she is a cat with extensive special needs, she'll remain at Sawyers', her new forever home, for the rest of her life. 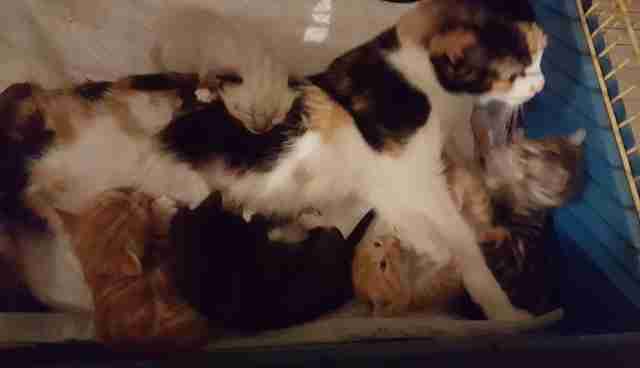 For now, as her kittens are still quite young, Princess has the comfort of nursing them and raising them until they're old enough to part ways. A police investigation into Princess's abuse has lead to the arrest of the man who attacked her. According to a recent Facebook post, plans are in the works to get Princess her very own wheelchair to help her move around easier. "Princess is a fighter, she teaches me everyday not to give up," Walton said. "I believe those kittens gave her the will to live." Want to support Princess's ongoing medical costs? Consider making a donation here.